Consolidating on our in-depth manufacturing expertise, we offer our clients with a large assortment of automotive spare parts and components to meet the requirements of automotive industry. Leveraging on our expertise in the industry, we ensure to offer our clients products, which falls accurate on the technical specifications as laid by our clients. 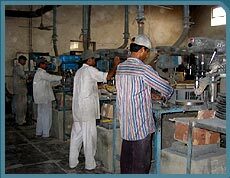 Ensuring high quality in our range of products, we are committed to offer complete satisfaction to our clients. Established in the year 1972, we Bajaj Export Corporation, is a professionally managed organization, engaged in the manufacture and export of automotive spare parts and components. 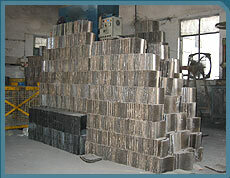 Our products are popularly available under the brand "RADO". Our products range comprises of brake lining, clutch facings, clutch plates, teeth lining, brake roll lining, clutch repair kits, rivets, brake pads, clutch buttons, pressure plates, tie rod ends and gaskets. 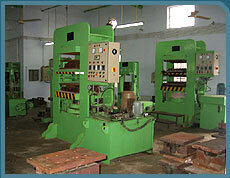 Our range stands high on quality front and ensure complete satisfaction to our clients. We are the member of The Federation of Indian Export Organizations (FIEO) which represents the Indian entrepreneurs’ spirit of enterprise in the global market. We make sure that with our range of products, we are able to meet with our client's requirements as per their drawing thereby offering them complete satisfaction. We are one of the leading manufacturers and exporters of dimensionally accurate automotive spare parts and components under the brand name RADO. Our precision engineered range finds wide application in the automotive industry.